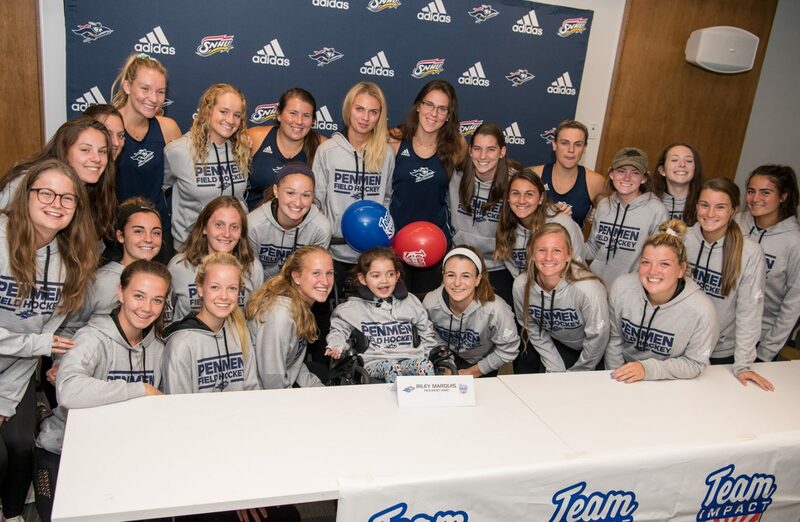 The Southern New Hampshire University (SNHU) Athletics Department has had a proud partnership with Team IMPACT since 2012. Team Impact is a national nonprofit organization that connects children suffering from life-threatening illnesses with college athletic teams. 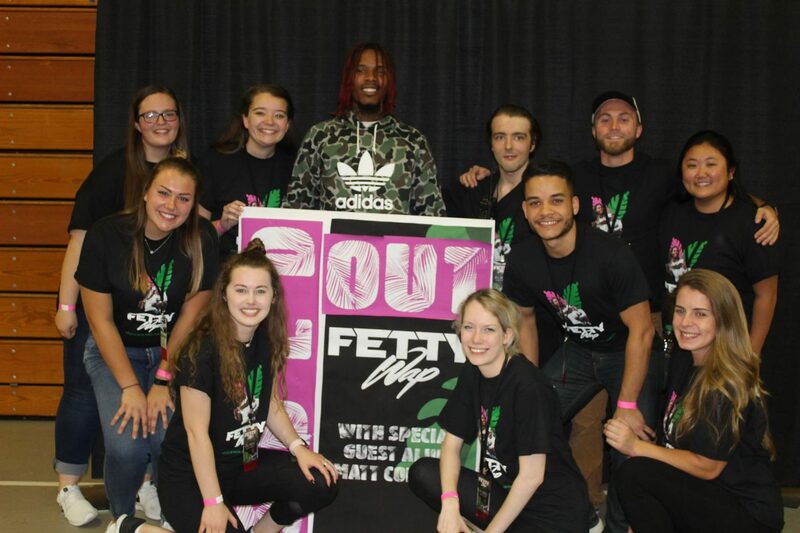 The Student Athletic Advisory Committee (SAAC) at SNHU hosted a fundraiser on Saturday, February 12 during the men’s and women’s basketball doubleheader against Merrimack to raise money for the organization. People made contributions to Team IMPACT at cash donation stands located outside the Stan Spirou Fieldhouse. The fundraiser originated from SAAC’s desire to recognize SNHU’s charitable partnerships. As Team IMPACT is one of SNHU’s most prominent partnerships, SAAC chose to highlight Team IMPACT’s inspiring goal of allowing disabled children a sense of normalcy, optimism, confidence and belonging through collegiate athletics during one of the most high-profile basketball games this season. Merrimack’s Alexis Schnaderbeck, who suffers from Cornelia de Lenge Syndrome, signed to the Warrior’s Women’s Basketball Team through Team IMPACT. She sits with her father, Matt Schnaderbeck, during Team IMPACT’s fundraiser at SNHU on Saturday, February 12 (Catherine LaChance). 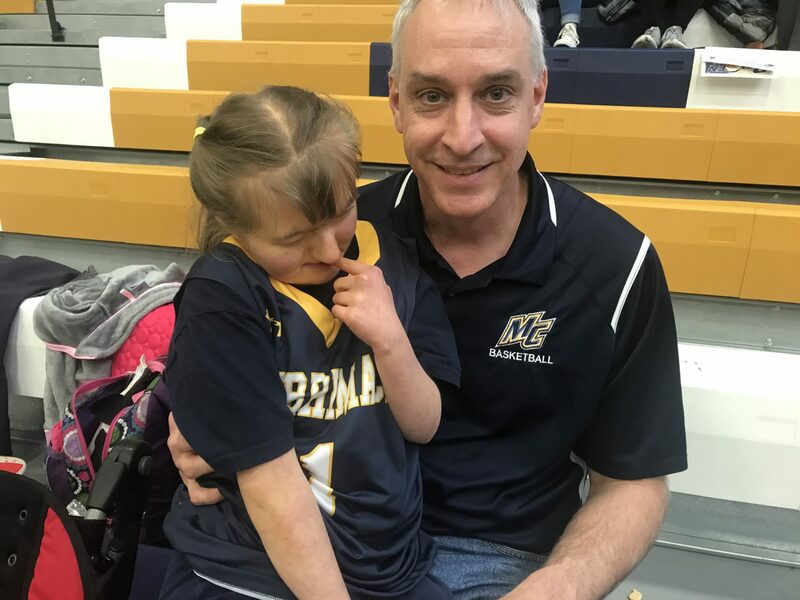 The Merrimack Women’s Basketball Team even brought its very own Team IMPACT child to the game knowing SNHU was hosting a fundraiser to support the mission of the organization. 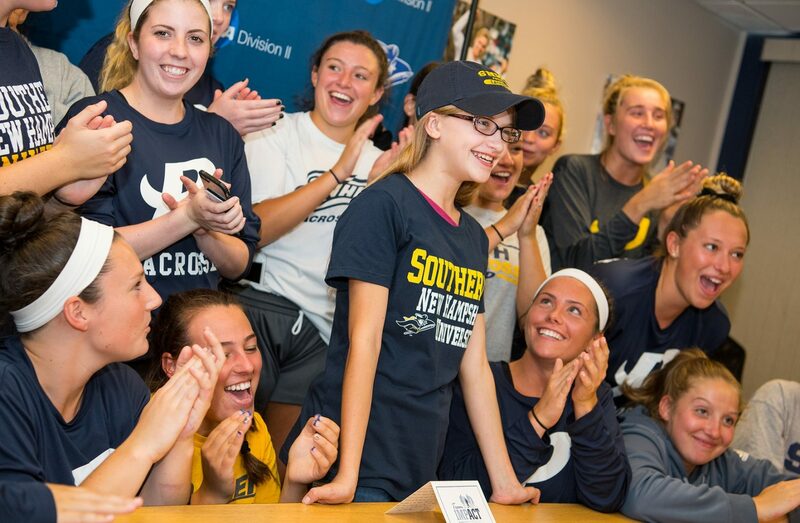 Merrimack’s Alexis Schnaderbeck joined the Warrior’s roster through Team IMPACT. 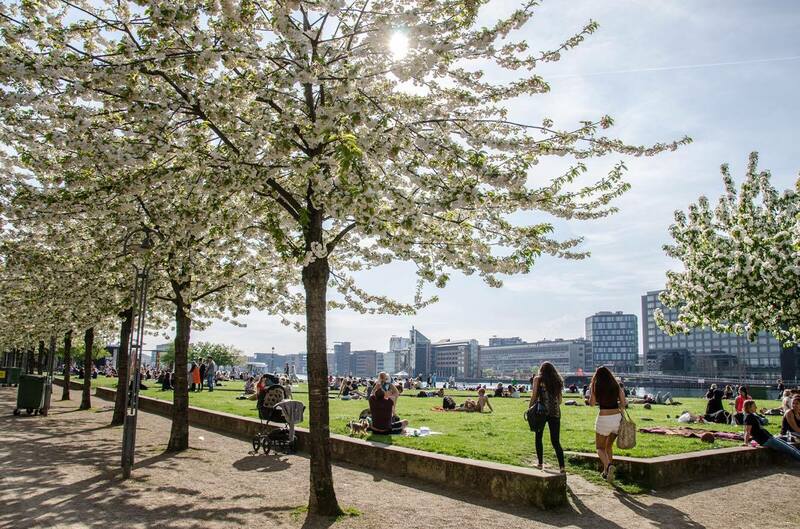 She is a 13-year-old who suffers from Cornelia de Lenge Syndrome, a genetic disorder that causes a range of physical, cognitive and medical challenges ranging from mild to severe. Alexis, who is wheelchair bound, came to SNHU with her father, Matt Schnaderbeck, to not only support the basketball program, but Team IMPACT as well. SNHU Athletics partnered with Team IMPACT seven years ago and has been an official partner ever since. SNHU has added over ten Team IMPACT children to its athletic programs and looks to add more in forthcoming years. The most recent and impactful Team IMPACT children to sign to SNHU athletic teams are Riley Marquis, Cohl Capparelli, Trinity Matthews and Ian Price. They became official team members when they signed their letter of intent. They attend team practices, games and dinners and are given official team apparel and equipment like any other athlete. As official members of athletic teams, these young individuals provide a new outlook to SNHU students. According to Team IMPACT’s website, teammates of a Team IMPACT child will acquire prosperous character traits they can carry with them throughout their lives. Students gain an increased sense of empathy for other people and see the world as much larger than themselves. They also develop a deeper appreciation for challenges faced by others and will be civic minded towards their roles and responsibilities in their communities following graduation. Take a look at Riley, Cohl, Trinity and Ian’s stories and how their remarkable stories affect their SNHU teammates. Riley Marquis (center) poses with her new teammates after signing her letter of Intent (SNHU Penmen). Women’s Field Hockey recruited five year-old Riley Marquis of Derry, New Hampshire on September 25, 2018. She suffers from Leigh’s Disease, a neurological condition characterized by a progressive loss of mental and movement abilities that typically results in death within two to three years. “I think [having Riley] has touched us more because I don’t know how we could ever give back the inspiration that she has given to us,” said senior goalkeeper Melanie Rennie. Cohl Capparelli (center) poses with his Penmen teammates after signing his Letter of Intent (SNHU Penmen). Men’s Ice Hockey recently signed 11-year-old Cohl Capparelli of Exeter, New Hampshire to its roster December 7, 2018. He was diagnosed with Spinal Muscular Atrophy, a genetic disease that affects the part of the nervous system that controls voluntary muscle movement, three years ago. Despite his condition, Cohl has always been an avid hockey fan and has found his new family at SNHU. Cohl also enjoys playing sled hockey. 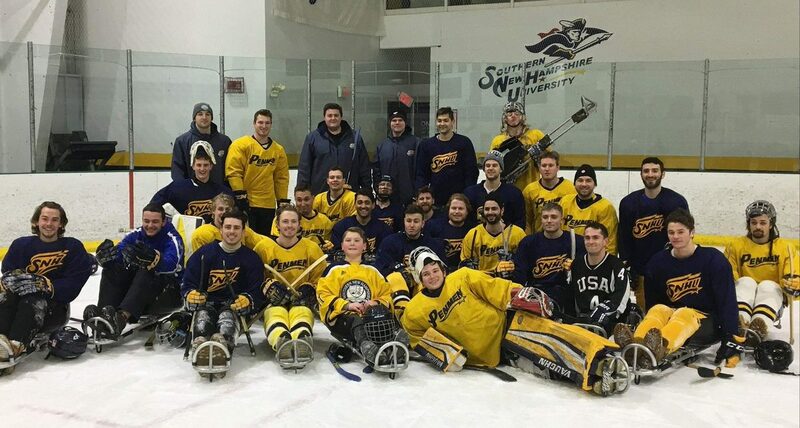 He had the opportunity to show off his sled hockey skills with his Penmen teammates January 28, 2019. Cohl had no problem buzzing around the ice on his sled. However, some of his older teammates struggled to keep up with the young speedster and found themselves dumbfounded by his remarkable sledding ability. “Our guys were falling off and it really opened up their eyes to how hard it is to actually be in the sled,” added Walsh. Cohl is the latest child to join an SNHU athletic team through Team IMPACT and he has proven to be a valuable asset to the hockey program. Trinity “Tiffy” Matthews poses with her new teammates after signing her Letter of Intent (SNHU Penmen). 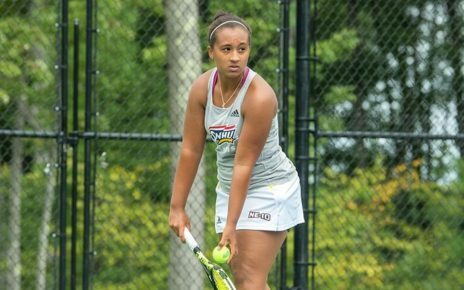 Women’s Lacrosse added 14-year-old Trinity “Tiffy” Matthews of Concord, New Hampshire to its roster on September 22, 2017. Tiffy was diagnosed with a heart condition shortly after birth. She has had to undergo several open-heart surgeries throughout her life and has had to have catheters and stents placed in her heart. The Women’s Lacrosse team held a press conference in the SNHU Athletic Complex when she signed her letter of intent. She was accompanied by her parents, Julie and Glenn, and her siblings, Shea, Skyler, and Tristan. She was interviewed by WMUR for 9 and 11 o’clock news. 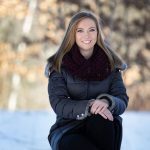 Tiffy’s teammates describe her as “an outgoing and active fighter.” She loves to dance, particularly ballet, and lists Bethany Hamilton as her favorite athlete. Ian Price (center) holds up the Northeast 10 conference championship trophy after the Penmen claimed the title in 2014 (NBC Boston). The most recognized Team IMPACT player to be signed to a SNHU team is 16-year-old Ian Price. Ian signed to the baseball team nearly five years ago after being diagnosed with a brain tumor two years prior. Last spring, he traveled to North Carolina with his teammates for the College World Series. 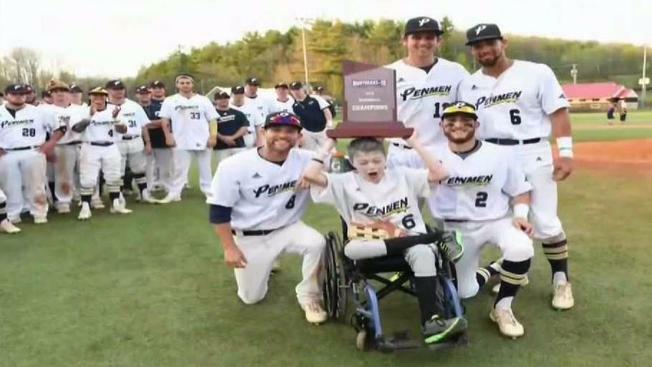 In an inspirational story that touched the hearts of many, Ian bet his teammates that if he stood up and walked across a parking lot to his van from his wheelchair, the Penmen would then have to win their World Series matchup against the University of Southern Indiana. And they did just that. A video of him walking to his van surrounded by his cheering teammates was posted to Twitter by SNHU Athletics. The story quickly went viral and was featured on WMUR and NBC Boston. Ian was recognized by Team IMPACT as an All-Time T1 Letter Winner. Other Team IMPACT children to receive this honor from SNHU are Alex and CJ from Men’s Ice Hockey, Jordana from Softball, Michaela from Cheerleading and Pierce from Men’s Lacrosse. 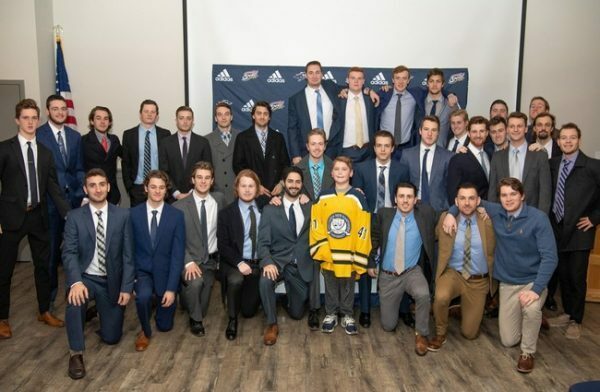 These young individuals are finding a new outlook on their lives through their experiences on SNHU athletic teams regardless of their life-threatening illnesses. In the process, they touch the lives of their teammates through their undeniable spirit and ongoing efforts to find the joys in life. Some professionals in their industries knew that they would be in their respective careers from the moment they entered university.